San Diego, CA (March 28, 2017) – Last December, IDW Publishing, with support from DC Entertainment, created LOVE IS LOVE, an anthology graphic novel that united the comic book community in support of the victims and families affected by the tragedy at Pulse nightclub. Now The New York Times best-selling graphic novel has raised more than $165K from digital and print sales. Through Equality Florida, the proceeds have been donated to the OneOrlando Fund to assist the victims and families impacted. Anticipation for LOVE IS LOVE ran so high that retailers could barely keep up with demand. 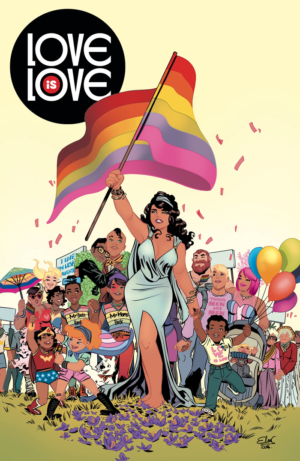 The graphic novel is currently in its fourth printing, and the remaining copies will be donated to Equality Florida and sold as fundraising items.